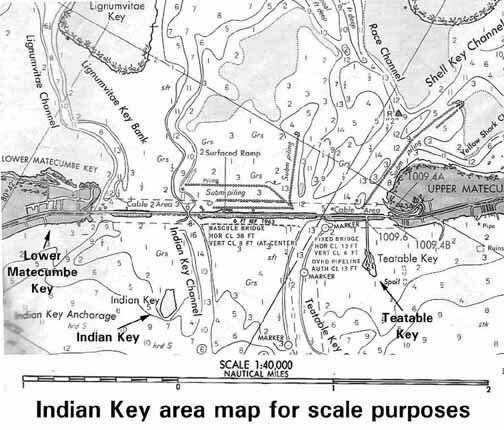 Comprehensive History of Indian Key. These pages by Jerry Wilkinson These pages will contain multiple elements of the documented history of Indian Key. The following is an index so you may select or follow a tour established by me. Options will be at the bottom of each page. It will be confusing at first and will get little less as we go along. There will be images, letters, and plain editorializing text. For a long but elementary history of Indian Key a reading of the three pages of "General History of Indian Key" is sufficient. The serious student should go through the tour, then print out selective pages for scrutiny and then study specific areas if interest selected from the index below. As every printer is different making two matching pages of the Indian massacre events may be difficult. They are set to be printed 8.5x10 inch as a portrait. I welcome some volunteer graphic artist to e-mail me a good rendition. Some of the images are amateurish as I am not a graphic artist, but the content should be there. If not, please e-mail me and I will gradually update the pages. 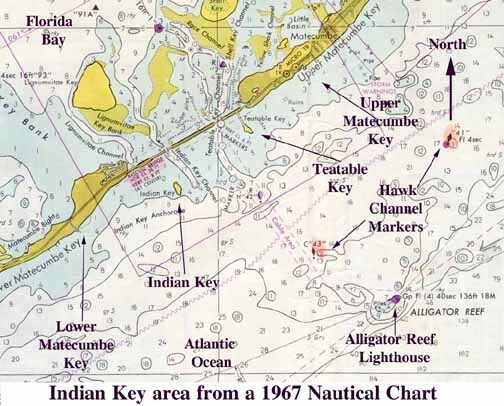 1967 map of the Indian Key area. 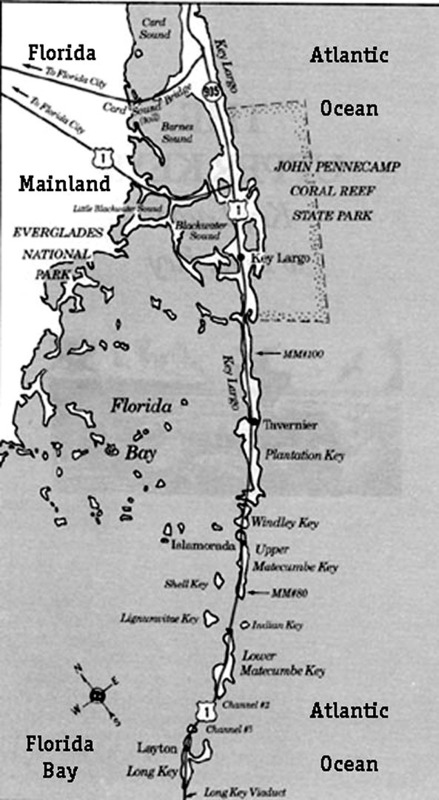 1978 map with distance scale.